The careful way a mama hen teaches and nurtures her chick will amaze and surprise you! 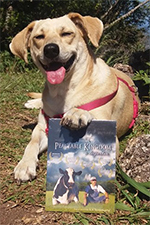 This delightful scene from the award-winning documentary Peaceable Kingdom - The Journey Home is sure to delight animal lovers, and anyone interested in animal behavior. Cheri Vandersluis, a former dairy farmer turned animal rescuer, points out the various ways that a mother hen will help her chicks learn to survive and become successful members of the flock. The parenting behaviors of other species are a powerful reminder of how much we truly have in common with our fellow animals. Free goodie bag for newcomers! Global Tribal Cinema Now in Chinese! Tribe of Heart films now reaching nearly 100 countries! that one person's change of heart can change the world. that awaken conscience and compassion by deepening our shared understanding of the interconnectedness of all life. that empowers caring individuals everywhere to work for social justice and become agents of peaceful change. of people of all ages and backgrounds striving to transform our relationship to each other and our fellow beings into one based on kindness, respect and holistic nonviolence. of a world free of violence and full of beauty. Inspired by the words and deeds of social justice visionaries of past eras, we create documentary films, educational web sites, critical thinking essays, teaching presentations and grassroots advocacy programs that expose hidden injustices, awaken compassion, empower individual transformation and encourage nonviolent resistance to oppression and socially sanctioned violence. Our film subjects and fellow artists energize our creative process, while an international community of activists, translators, educators, supporters and volunteers bring our programs to life, generating a growing wave of change. Through these collaborative efforts and in our own personal lives, we seek to develop and advance a joyful ethic of care, respect and holistic nonviolence that guides our relationships with other humans, our fellow animals and the natural world. We invite you to join our quest to inspire every person who has the privilege of choosing how they live to help create the possibility of peace, happiness and justice for those whose choices have been taken away. In 2000, social justice artists Jenny Stein and James LaVeck were inspired by the simple yet powerful idea that one person's change of heart can change the world. Together, they founded the charitable non-profit organization Tribe of Heart. Tribe of Heart's documentaries, which focus on themes of nonviolence, moral courage, and personal transformation, have been shown in 80 film festivals around the world, receiving 18 awards, including 5 for Best of Festival and 12 for Best Documentary. 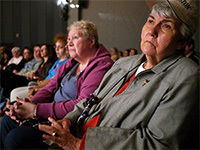 Tribe of Heart screenings often include in-depth dialogues with audience members about ethics, acts of conscience and social justice movements. 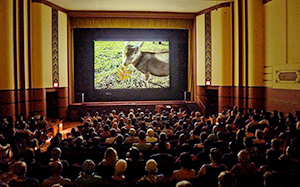 The two most common responses the filmmakers receive are that the viewing experience was life-changing and that everyone needs to see this film. 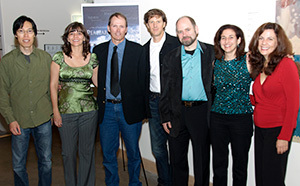 Propelled in part by the grassroots efforts of inspired audience members, Tribe of Heart films have been widely broadcast on public television in North America, broadcast in Europe, exhibited at hundreds of citizen-organized premieres and public screenings, and translated into 12 languages, with more soon to come. Tribe of Heart's newest film, LEGACY, is now in post-production. 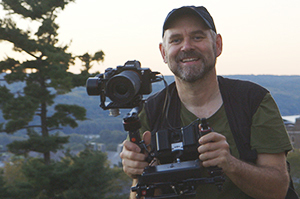 Creative partners for more than 25 years, director Jenny Stein and Producer James LaVeck are best known for their documentary feature films, PEACEABLE KINGDOM: THE JOURNEY HOME and THE WITNESS. Additionally, they co-founded HumaneMyth.org, an online educational resource that debunks the myth of 'humane' animal agriculture and exposes the animal-using industry's efforts to confuse the public and gain influence over the animal-protection movement. They also led a multi-year public education and legal campaign to resist the mass killing of suburban deer in their community. James and Jenny have received four national awards for their activism, including two lifetime achievement awards. Their work has also been endorsed by the United Teacher's Federation and the California Teachers Association, and is regularly used by college professors for courses in areas such as ethics, law, philosophy, and writing. They are now developing and teaching Holistic Nonviolence, a new path for personal transformation and social evolution that is the inspiration behind their next feature documentary, LEGACY. Jenny and James both graduated with honors from Cornell University's College of Arts and Sciences. Jenny also has a Master of Fine Arts degree from the UCLA School of Theater, Film & Television. James has a black belt in Tae Kwon Do. They live in Ithaca, New York. 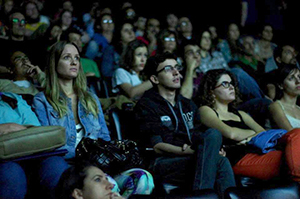 Your donations will enable us to produce new films, touch more lives, further develop our teaching of holistic nonviolence, and help us expand our message across more languages and cultures. Community support is instrumental to our ability to deliver non-commercial, life-altering social justice projects which empower everyday people to become part of creating a wave of positive change. With your help, we can continue this important work. Join us! Tribe of Heart, PO Box 149, Ithaca, NY 14851 USA. Tribe of Heart is a registered IRS 501(c)(3) charitable organization. Your donation is fully tax deductible in the US. If one of our films has opened your heart, we encourage you to share this powerful experience with friends, family members, and colleagues -- in your home, in a classroom, on social media, or even by holding a public screening in your community. The comments below show the truly profound, life-changing impact a message of compassion and justice can have when shared in a community setting. Holistic nonviolence is an emerging path for personal transformation and social evolution. It is intended to foster the creation of a global community of conscience organized around an ever-deepening commitment to regard and treat all others, however they may differ from ourselves, with care and respect. What does it mean and is it for me? There are many forms of oppression and violence in society that, for reasons of culture or tradition, remain largely unexamined. Walking the path of holistic nonviolence is about questioning ALL forms of oppression and violence, seeking to better understand their common roots, and choosing alternatives. It is about being unwilling -- directly or indirectly -- to take part in violence, to profit from the harm of others, or to willfully ignore oppression. It is about refusing to intentionally take away the dignity, bodily integrity, freedom, or the life of another individual, no matter how they may differ from ourselves, be they a fellow human or a fellow animal. Pursuing this path is not about being perfect, but about challenging ourselves to ever expand our understanding of how our actions affect others, and over time, to come closer and closer to the ideal of nonviolence toward all. It is a long term path of self-development, integrity and service. It places a special focus on respecting, advocating for, and, when possible, empowering those who are being oppressed, exploited or killed. Most importantly, it is a path based on cherishing and protecting life, and celebrating the beauty and joy we can create together. The sections below describe three different modes of expressing holistic nonviolence, with many specific examples for each. Within the bounds of one's understanding and capability, commitment to protect the integrity of the principles of holistic nonviolence, to teach alternatives to oppression and exploitation, to help heal the trauma of violence, and to expand our collective understanding of what it means to live with care and respect for all.